In the US, the number of emotional support animals is growing steadily. Thousands of mental health patients have been able to survive difficult times with their ESAs without expensive therapy sessions and medical bills. However, acknowledging the importance of emotional support animals in the UK is still a controversial subject. While airlines in the US allow passengers to travel with emotional support animals, (they should have specific documentation to prove they need one) the rules are different in the UK. British Airways let passengers carry their assistance dogs in the cabin with prior agreement, whereas all other emotional support animals need to travel in the hold. According to The British Airways, if an individual is travelling with a recognized assistance dog, the dog will be placed in the cabin, without any additional cost. Unfortunately, you cannot book this service in advance but when it comes to the actual flight, there are a limited number of spaces for dogs. However, when it comes to ESAs, they have to be placed in the cargo bay but the airline assures IAG World Cargo takes good care of all transporting animals and pets. An Emotional Support Animal is a companion animal for people having physical and psychological needs. The animal does not necessarily have to be task-trained and the purpose of keeping one is to benefit from the unconditional love and affection it provides. Research implies that mental health issues in the UK are rising and mental health services struggle to provide effective and timely solutions as people have to wait for months to get appointments. An emotional support animal offers long-term support and will help people spend less with this permanent support system. Owing to extensive researches around the world, ESAs are now prescribed in some states in the US and are recognized legally as service animals that receive the same rights as guide dogs. There are many companies in the US, such as TherapyPet.org and EmotionalSupportAnimalCo.com, that make it very easy to obtain this type of documentation for your pet. However, in the UK, emotional support animals are simply not recognized even though prisons, educational institutions and medical premises provide sessions with therapy dogs, to help reduce anxiety, depression and stress. Since ESAs are required to follow animal import and quarantine rules, there are a few places in the world where they are not allowed at all, such as Maldives, or have to go into quarantine (New Zealand or Australia). Therefore, you should check with the embassy of the country that you want to visit with your emotional support pet. Nothing is documented in the guidance document about the UK regulations about giving access to guide dogs and assistance dogs. Even though there is no law that prevents the British from accepting a pet or emotional support animal that travels by air with its owner, it is uncertain if the handler of a privately trained assistance dog will be allowed to attend places of public accommodation and public transportation. 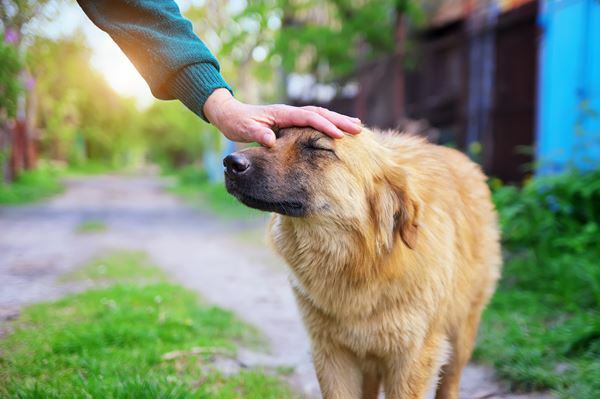 By assisting individuals with disabilities to function better in society, emotional support animals serve a greater purpose than conventional house pets. The purpose of an ESA is to offer healing benefits to individuals with psychological, mental or emotional disabilities. Emotional support animals are not restricted to just dogs and all domesticated animals qualify for an emotional support animal. The purpose of an emotional support animal is to offer therapeutic benefits to individuals even when they are traveling. The British are familiar of viewing dogs in harnesses or other types of assistance dogs that wear bright colored capes with the Assistance Dogs of the UK logo. People who wish to carry their emotional support animals or dogs are suggested to consider pet friend hotels and rent a car services to help you keep your emotional assistance dog with you. In the future, our hope is that therapy animals are recognized in the UK and are able to support their owners during times of need no matter where they are or what the situation is. As more research unfolds, I wouldn’t doubt the UK starts to identify these types of pets in a legal manner. Author Bio: Brad Smith is an avid content writer who enjoys telling stories about animals and their effects on human mental & behavioural health. ceremony in Glasgow in late 2016. 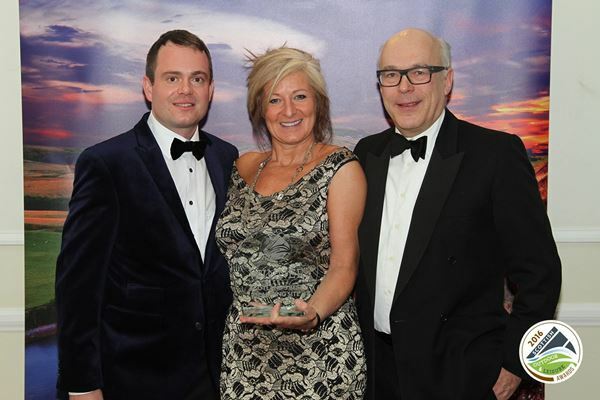 ‘We are delighted to have won this award in such a strong category of finalists. Scotland has to offer for both visitors and staycationers. Our dogs are part of our families and those who have suffered the loss of one of their dogs will know all too well how sad a time it can be. 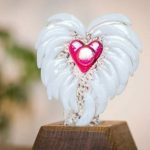 One lady has taken steps to produce a keepsake that not only looks beautiful, but allows you to remain close to your departed friend. 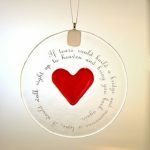 In a picturesque village just outside of Lancaster, Sarah Livingstone, an inspirational glass artist, has been producing a series of enchanting decorative products for those unfortunate enough to have recently lost their beloved four-legged friend. The range is known as memorial glass. 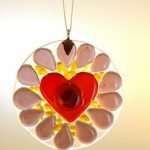 The delightful series of With Love & Light memorial glass products are unique in that each one can incorporate a pinch of the ashes from your departed pet. 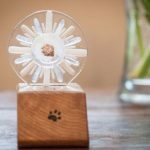 Sarah was inspired to carefully and respectfully include such a personal element into her products having lost her dog herself three years ago and set about adapting her existing designs for the special pets in our lives. The memorial glass art on its own is to be marvelled at. The intricate designs, bold, bright colours and superb handmade craftsmanship make them a beautiful addition to someone’s home in their own right. The choice of such beautifully coloured glass means that it is not a passive ornament; when the light changes and catches the glass at different angles, it sends twinkles of uplifting light around the room and is a glorious reminder of all of the happy times you experienced with your dog. A short glance at With Love & Light’s customer testimonials will show you just what a welcome reminder that is proving to be for people. 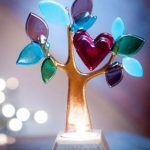 You can choose from a range of existing designs available and, for every pet memorial glass product purchased, a donation will be made to the RSPCA. If you are looking for something a bit more personalised, Sarah will be more than happy to try and accommodate your wishes into a unique design. Do you walk your dog regularly? Are you both reasonably fit? Have you considered a walking holiday? 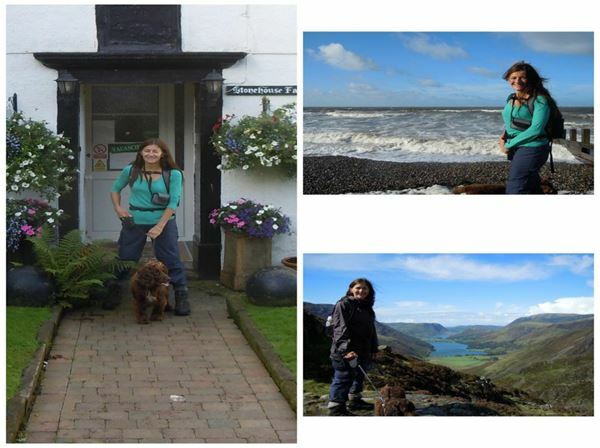 I answered YES to those questions and decided it would be a great holiday with my dog whilst seeing some fantastic countryside and staying in some brilliant B & B’s and hotels along the route. The first adventure was the Coast to Coast; St. Bee’s to Robin Hood’s Bay 190 miles following in Wainwright’s footsteps. We did this walk in 3 chunks, due to time constraints and work commitments. We used a luggage transfer company and they transported my dog’s cage, which meant he had his own safe space every night and I could leave him securely in the room, if necessary. The scenery was stunning: The first leg being mainly across the Lake District. We arrived by train to St. Bee’s in the pouring rain one August Bank Holiday Monday, thank fully the following morning the start of our trek was more clement. It is a beautiful route and well walked. Many American groups, Canadians and Australians do the whole walk in a couple of weeks and we’re not talking about the 30 something’s. The people we met were often retired and regularly “hiked” back on their home turf. The camaraderie on the route is brilliant as you often meet, overtake or get overtaken by the same people and then when you’ve checked in to your overnight stay you may find them in the Bar! An evening chatting over the days exploits the highs and lows make this fantastic trail all the more exciting and interesting, not to mention the well earned good beer and food. And the dog? 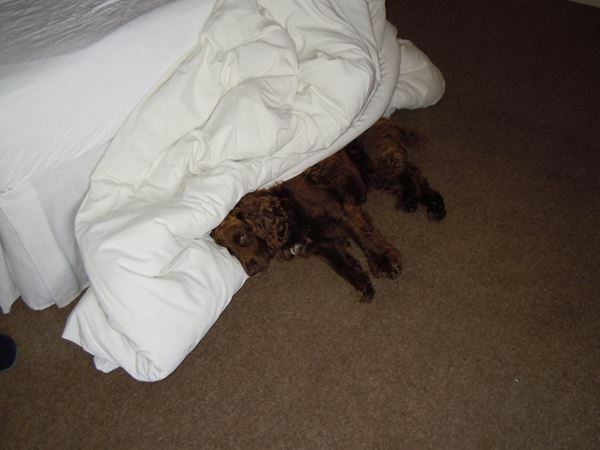 Well he was often to tired to join me in the bar, after a quick dry off and refuel this is how I’d find him! If you enjoyed this please hop over to my blog or social media sites for more! Love is giving a dooup this Valentine’s Day! Americans will spend at least $800 million on gifts for their dogs this V day and meanwhile, the only gifts they’ll receive back will be the kind one doesn’t really want to see or smell! Of course, the benefits of owning a dog far outweighs the one downside but why not make it easier for loved ones receiving these rather unpleasant gifts every day? Dog waste is often left in the garden that’s used to dine and lounge in and a place where children play! The dooup Complete Pet Waste Clearer is the ultimate in thoughtful gifts. It’s practical and it says ‘I’m thinking of you and sparing you an awful job’. And you’ll be spreading that love across the environment by preventing the spread of the 23 million bacteria contained in dog waste that affects our aquatic life and waterways. And, let’s face it, nothing quite says ‘I do’ like a dooup! It says ‘I’m committed to you and your dog’! 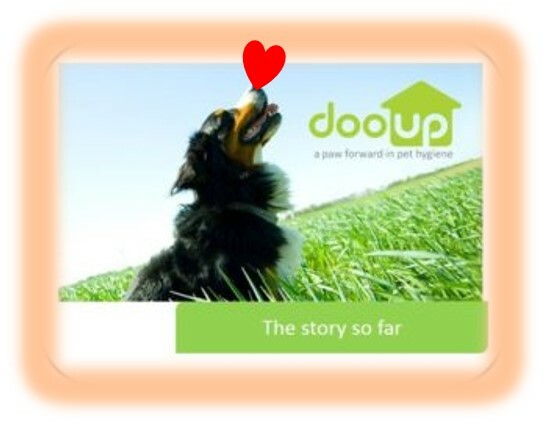 So, if there’s anyone out there wanting to make a big impact when they pop the question to their dog loving lover…buy a dooup, video your other half receiving it, along with a romantic proposal of marriage and post it on our FB page and we will not only refund you the cost including shipping, we will provide you with a large refill pack too, so that you’re kitted out for the whole year. That way, you can focus on the ever-important wedding costs. Don’t worry, we won’t expect an invite. Such a unique marriage proposal cannot fail to go viral! However, we won’t hold our breath that anyone will post such a video…we’ll leave the holding of the breath to those of you still sporting an old-fashioned scoop or shovel! If you don’t think you’re old fashioned…consider the difference between the old-style chamber pot and how one would have to physically transfer one’s waste. Now we simply flush it away so effortlessly. Now think about how you deal with the waste from your dog in the garden. Then watch our short video here www.thedooup.com to see how things have progressed! This Valentine’s Day, ‘If it doesn’t make you smile, change it’!